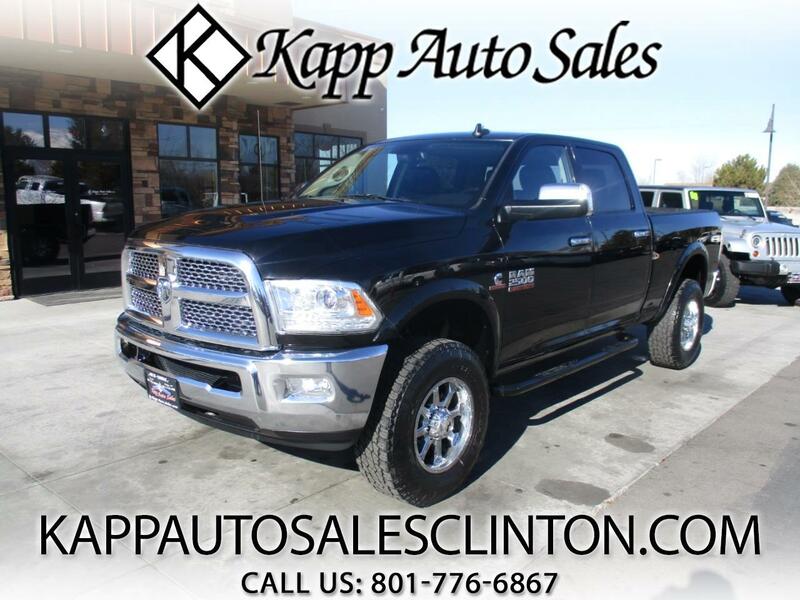 **FREE 3 MONTH/3,000 MILE WARRANTY AT LIST PRICE** CHECK OUT THIS SUPER CLEAN AND VERY WELL TAKEN CARE OF 2013 DODGE RAM 2500 LARAMIE CREW CAB WITH THE 6.7L CUMMINS ENGINE!!! THIS TRUCK LOOKS AWESOME AND RUNS AND DRIVES EVEN BETTER!! THIS THINGS LOADED UP WITH LEATHER INTERIOR, HEATED AND COOLED SEATS, HEATED STEERING WHEEL, PWR EQUIPMENT, NAVIGATION, BACK UP CAMERA, AUTO CLIMATE CONTROL, EXHAUST BRAKE, PWR SLIDING REAR WINDOW, 18 INCH CHROME WHEELS ON BIG NITTO TIRES, BED LINER, TOW PACKAGE, AND MUCH MORE! !